I’ve written a couple of posts about an earth sheltered home in Greenfield, Ohio that is owned by the aunt and uncle of a friend of ours. See Woody Ravenscraft’s Unusual But Practical Underground Home and Pros & Cons of Building Earth Sheltered Homes. It’s a unique home, mainly because it’s an underground house. Now it can be yours. How? The homeowners have unfortunately passed and they are selling off the house, property, and belongings in a house auction sale on October 9, 2010. It will be an estate sale like no other. This underground home and 1.66 acres of property with detached, oversized garage can be yours if you have the winning bid at the house auction sale. Attend a few house auctions in your area to get a feel for them and pay special attention to the flow of the auctioneer and the bidders. Contact the auction service with any questions you have about the house or property. Do this before you move forward with anything else. It could save you a lot of time and money. Get pre-approved for the mortgage and have the finances in order before the auction takes place. Know the reserve price, if there is one. Register to bid on the day of the auction. You’ll need your driver’s license and you’ll have to fill out some simple paperwork to obtain your bidder number. Get a home inspection and pest inspection performed by a professional prior to the auction. You’ll need to contact the auction service before you can step foot on the property though. Though you don’t need an agent to represent you, you may want to hire a buyer agent with experience in house auctions. You may want to find a solicitor to check the sale contract and inform you of any legal matters that you need to be aware of. Arrive early. Auctions can be over in a matter of minutes, so don’t be late! 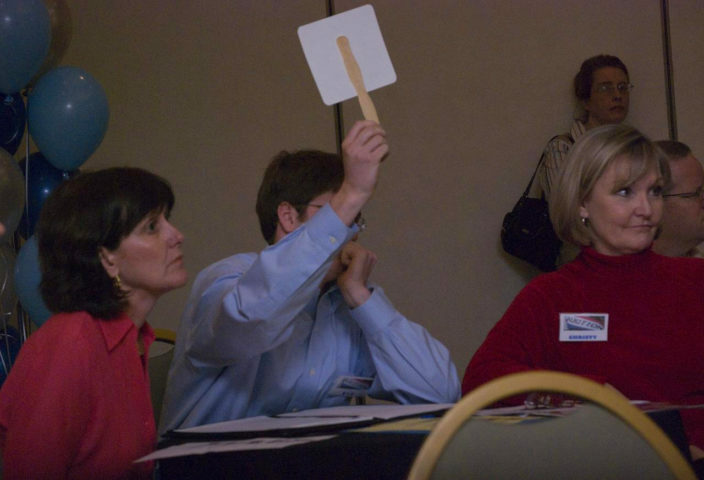 During the auction, bid assistants who work with the auction company will relay bids to the auctioneer and answer last-minute questions from bidders. Have a bid strategy. Decide what your maximum bid will be and STOP bidding once it reaches (or exceeds) your limit. There will always be more houses up for auction. The estate is being auctioned through Binegar Auction Service of Greenfield, Ohio. The house auction sale will include real estate, antiques, collectibles, household goods, coins, and the house with detached garage. Check out all of the photos from the preceding link to see some of what will be at auction. The underground house is located at 12646 Centerfield Rd, in Greenfield, OH. Here is the house auction sale listing for more details on the property. This home was built for the former homeowners in 1979. The reserve is $60K for this 900 sq ft home. I’ve got a few exclusive photos that were loaned to me by a relative of the homeowners. The photos show the house during the construction phase and a couple of other shots at different periods in time. The photos above show the earth sheltered home under construction in 1979. You can see the pole barn and covered deck (with corn field in the background) in the photos above. One final mention: utility bills are very, very low for this home. If you were to install solar panels on the property, I bet you could sell back enough electricity to the utility company to pay a little on your mortgage. Thanks to the Ravenscrafts for their assistance with this post.